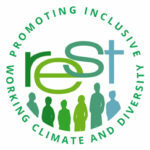 The REST label recognises organisations that promote an inclusive working climate and diversity at the workplace. Does your organisation employ a refugee or a person with migration background and promotes diversity and an inclusive working climate? Let your stakeholders know about it – get the REST Label! The REST label is a European quality label that provides a clear signal that your organisation has not only committed to hiring refugees or people with migration background but to apply approaches to successfully integrate them at the workplace. It demonstrates to your employees, clients, customers, suppliers, etc. that your organisation is committed to implement comprehensive strategies to promote diversity and an inclusive working climate. Get the REST label and show the world what your organisation’s values are!